Clichéd storytelling, man. It freaks me out. It reoccurs in many films and books throughout many cultures around the world and we’re usually quite satisfied with the final product. Specifically I’m speaking about any kind of prophecies that are placed in the film in order to actually make the story a story. Yes, there are films and books whose stories rely entirely upon a prophecy. Without the prophecy there would be no need for a story and as such no way for the masses to consume. Prophecies are a big part of fantasy stories. One is almost to expect them to appear in one way or another in the story as they seem almost like common practice for the genre. Some of these clichéd points are done either really well or really awful. Or they’re hidden well enough that when one considers how the rest of the story is portrayed, the cliché is forgiveable. In my eyes, writing in a prophecy is no different than writing a deus ex machina for the ending of the story. The only difference is that a prophecy gives the writer the rest of the story to set up the crap-shoot of an ending to make the prophecy make sense. In contrast, the deus ex machina will simply resolve it by some bizarre fashion (or groan-worthy moment). I think of it like writing during NaNoWriMo: if someone decides to make a story for the month, they plug away at it and when they don’t know how to end it, the deus ex comes in and saves the story. Alternatively, if someone doesn’t really know how to end their story properly because they “just need to write X amount of words,” putting a prophecy in at the beginning makes the ending fall into place easier. But it’s strange. We’ve all shook our heads to clichéd storytelling at one time or another, yet we let some stories get away with it more than others. For example, films like The Fifth Element and Lord of the Rings (we’ll go with the film version for LotR simply to make it easier) both use cliché storytelling models and we’re (well, I am) mostly okay with it. 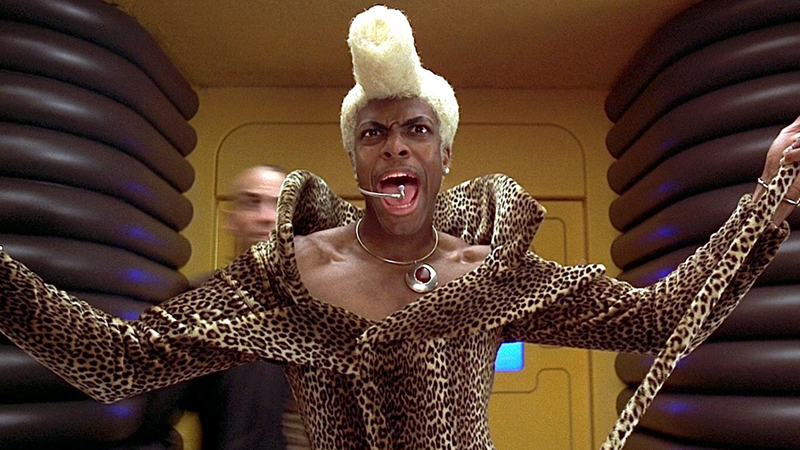 The Fifth Element is self-aware and tongue-in-cheek regarding its central prophecy (that a Fifth Element will save the world), and it is established at the beginning of the movie. The story itself is a wild one, filled with nods to other science-fiction films and stories, while kind of really making the prophecy the central point of the movie – it became fun and was purposefully clichéd. If your prophecy includes Chris Tucker, I’m instantly hooked. While one easily argue that The Fifth Element is rather trite with its story, it still reeks of fan-service to its audience that (in my opinion) out-weighs the stories short-comings regarding the cliché of prophecies. In the Lord of the Rings film, it is established early on that the sword that cut off Sauron’s finger which bore the ring is needed to quell Sauron’s forces. Only Aragorn, if he fulfills the prophecy of returning to the throne by wielding the sword, can he help defeat Sauron’s evil. This cliché feels a bit more laxed as there are multiple stories happening within the film, so as a viewer, it is not the central story to the movie. It’s a bit of a passable cliché solely because it’s not involving a main character – or at least one that hasn’t become a main character yet from the storytelling and audience’s perspective. Then we have The Matrix. One character, Morpheus, passes the prophecy onto our main character, Neo. Then the viewer is dragged along for another two movies as the prophecy is continually shoved into our face with more philosophy than action (I should take this time to say I actually enjoyed the Matrix trilogy. However, I have to be critical for reasons of this discussion). The prophecy, from the beginning, becomes the heart of the movie and in-turn, is all the movie is trying to resolve – Neo fulfilling his destiny/ancient prophecy told by the elders. Now that I’ve ripped on three major films regarding this topic, let me redirect the focus to something a bit more constructive. Let’s look at Star Wars and how these films deal with prophecies. A long time ago in a prophecy far, far away. . . Starting in order of appearance, we have the Original Trilogy (OT) – episodes IV: A New Hope, V: The Empire Strikes Back, and VI: Return of the Jedi – which do not really deal with prophecies much at all. Then we have the Prequel films – episodes I: The Phantom Menace, II: Attack of the Clones, and III: Revenge of the Sith – which is all about the prophecy of “the Chosen One” (to clarify, I’m not referring to this chosen one). That’s not to say that there are not prophecy-like instances in the OT. What I would like to try and show here (and is essentially my thesis) is that the way in which Star Wars presented prophecies is what I think, one of the better ways to tell a story involving prophecies. Now let’s drive right in and talk this one out. Within the OT, we have the traditional fantasy story of a young hero out to save a princess and fight the forces of evil. Within that fantasy is the all-powerful Force: a mystical power that binds everything together and can be used for good or evil. As the story moves on into episodes V and VI, it unfolds to finding out that the villain is the hero’s father (spoiler) and that it is up to the hero to save him and defeat evil once and for all. That is a very bare-bones summary of the OT, but I think it works when trying to discuss prophecies. 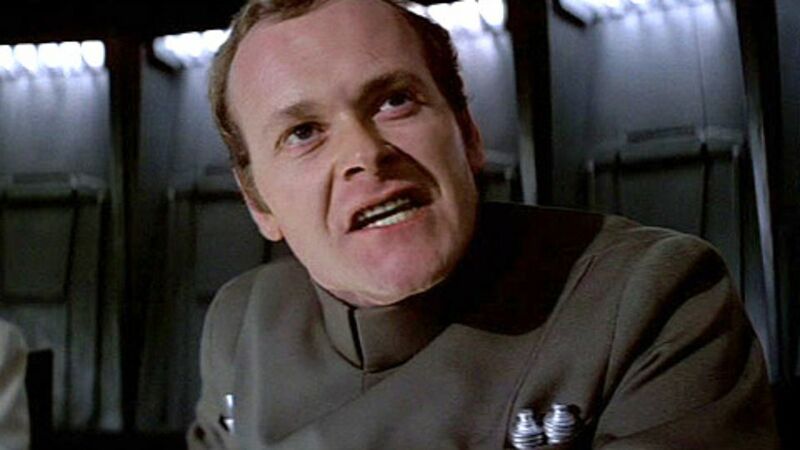 There was a mention about an “ancient religion” by Admiral Motti in A New Hope, and villain Darth Vader does proclaim, “Luke it is your destiny,” in The Empire Strikes Back when it came to trying to convince Luke to join him. But that was really all that stood out regarding prophecies. The OT films did not rely on prophecies to make the story work and rarely alluded to them as well. There is mention of the Force in all three of the OT films, but it is not tied to a prophecy at all. The Force just “is.” Most people agree that the OT films are the best ones because of acting, action, effects, and so on. However, they may not be aware of it – but it could be because of the lack of clichéd prophecies within the fantasy world too. But let’s look at the prequels. “You refer to the prophecy of the one who will bring balance to the Force. You believe it’s this. . . boy [Anakin]?” asks Mace Windu in The Phantom Menance. The very vague prophecy is implied in little bits in the prequel films but is never fully explored or explained. We know that the prophecy revolves around Anakin Skywalker who will eventually become Darth Vader and kill his master, Emperor Palpatine. We know this because the OT came out thirty years before the prequels did. Anything that happened in the prequels was not really a surprise at all. Can you see what I’m getting at here? 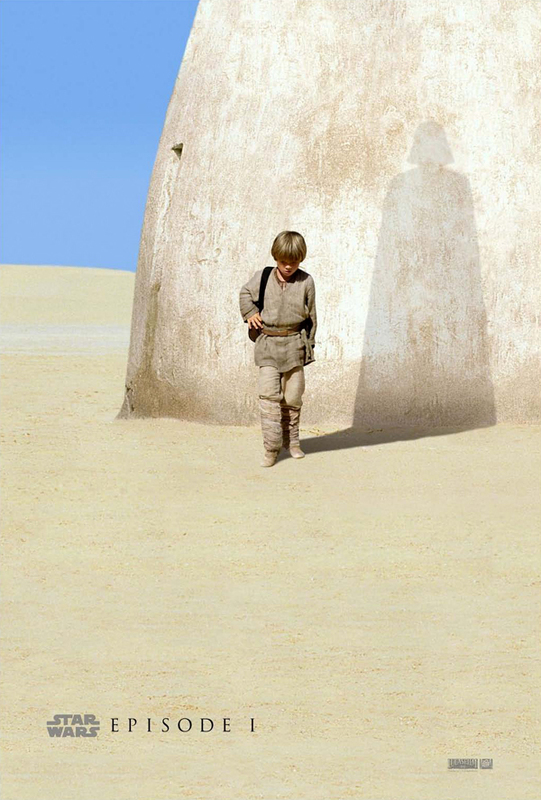 In the prequel films, we’re told that a young boy, Anakin Skywalker, may be the one to bring balance to the Force. The audience already knows that the prophecy gets fulfilled with Darth Vader, so the prophecy comes to no surprise. Qui-Gon Jinn in The Phantom Menace even takes the “mystical” out of the Force by putting science into the Force – and as such – into the prophecy. By describing midi-chlorians and how Anakin has the most of them out of any known Force-user grounds the prophecy to something more tangible rather than speculation. Anakin is the Chosen One because, damn it, he has the most midi-chlorians! That, and because the audience knows he becomes Darth Vader! What the prequels do WELL regarding the prophecy cliché is not try to let it become the story. While in The Matrix, there was the story of Neo being the Chosen One. 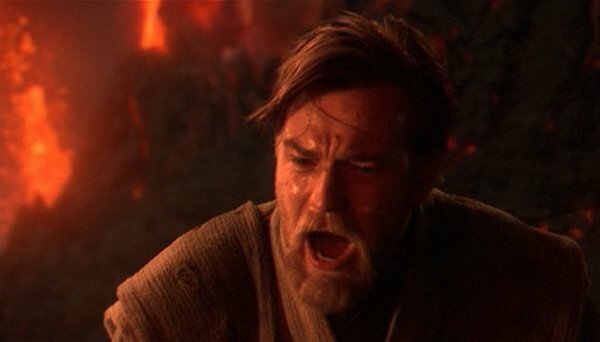 In Star Wars we’re not forced to watch the path of Anakin become the Chosen One because we already know what happens and that he is the Chosen One. In a way, the prophecy is spoiled for the viewer before the prophecy is even brought up in the movie. He still has to bring balance to the Force? Well we knew all the Jedi were going to die and already know that Vader kills Palpatine. The viewer knows how the prophecy is fulfilled already. The prophecy in the Star Wars prequel films are used as a plot device – a catalyst, if anything – to show the audience the story of Anakin Skywalker becoming Darth Vader – not the story of Anakin Skywalker doing thing-X and something-Y to fulfill a prophecy to conclude the story. The prophecy, first mentioned in Episode I, is used to kick-start the story of Anakin for two more films. But the prophecy is not central or really that important to the rest of the story. The prophecy is in the background being unimportant as the rest of the movies move on. The audience is reminded in little bits, such as with the quotes I’ve posted above about the prophecy, but that’s about it. No one is concerned about the prophecy because the movie isn’t concerned with it. The prophecy and even its origin is not explored any further or delved into any deeper than what it is at face value to the audience. And you know, it works. While I could see an argument how the prophecy in the Star Wars prequels is kind of like a deus ex machina at the BEGINNING of the movie, it still is not the primary focus of the prequel films, and as such, Star Wars as a whole. Whoopty doo!! What does it all mean, Basil?! If the Star Wars prequels did anything right, it was how it handled prophecies within a fantasy world. Midi-chlorians aside, the prequels put the prophecy on the back burner and focused on the characters and actions within the film – the prophecy only being mentioned to remind the viewer that there was a reason why Qui-Gon Jinn died. But how can a writer get away with clichéd storytelling when they want to write about fantasy or prophecies in general? I’ve been thinking about this quite a bit and I think I have a decent answer thanks to the Star Wars prequels. While one can go through great pains to avoid cliché prophecies, I’ve considered that holding off to explain a prophecy may be best until the world is built around it first. Promo poster for The Phantom Menace. Spoiler Alert: Anakin becomes Darth Vader. But we already knew that, didn’t we? It was not because of some prophecy in the storytelling. Look at it this way: I feel the prophecy worked in the Star Wars prequels because we already had three established films with the OT. When the prophecy is first mentioned in the prequels, the audience is generally fine with it as they understand the world and what’s to come with the character the prophecy is alluding to. While I’m not saying one should spoil the ending of their story at the beginning solely to let a prophecy flow nicely and not feel clichéd, as a writer or author, you can keep that tool in mind to craft something much more genuine and unique. It would be something where it requires a lot of planning, but as a result, one would have a more fulfilled fantasy world with a rich and diverse setting and a deeper understanding to why there is a prophecy and how it is believable, rather than adding in a prophecy solely to get a character from Point A to Point B. Establishing a prophecy at the beginning of a story simply to let the character go through the motions of fulfilling it makes for a clichéd – and boring – story. However, to establish a prophecy within the world without overtly telling the audience about it is key to a good writer and good storytelling. 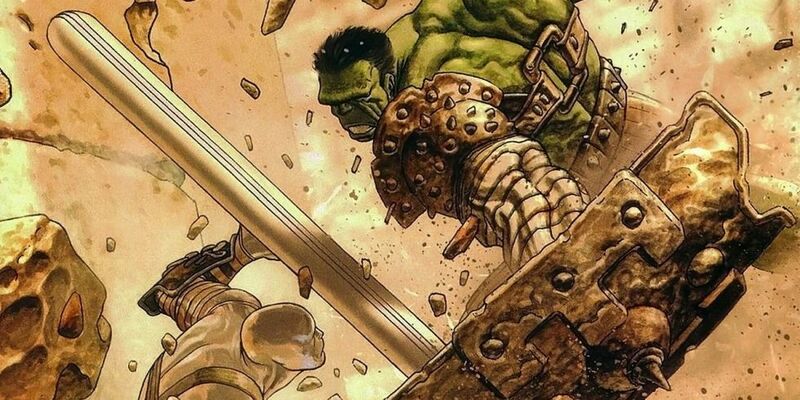 Here’s another case: I’ve recently re-read Greg Pak’s run on The Incredible Hulk with the story Planet Hulk and World War Hulk. Long story short, the Hulk is sent to another planet called Sakarr and is enslaved to fight in a gladiatorial arena. After a few victories, the peasants of the planet begin to see how strong he is and how he could be Sakarrson – the one to free the people of Sakaar. At the same time, the ruler of the planet and host to the gladiator arena, the Red King, has already been considered to be the Sakarrson by the people of Sakarr. So the Hulk – and the reader – is forced into a story and onto a planet where a prophecy was already established before any of them got there. The Hulk is learning of the prophecy along with the reader. It feels natural because the prophecy has already been fulfilled – in this case by the Red King. PSA: Surf boards are not adequate shields. While the prophecy is established early on within the story like that in The Matrix or Lord of the Rings, it comes along as a natural occurrence because it is not forced upon the reader by an obvious means. When it comes to writing about prophecies, it certainly requires some major thinking and reworking of a story in order to avoid the cliché and come up with something that is engaging for audiences. However, I feel like it should be said again: cliché storytelling is not bad at all. It’s quite common and works a lot of the times such as with the examples of The Fifth Element and Lord of the Rings. What stings is that within fantasy realm, the cliché can be overused. As the term cliché implies, it’s a failure of originality. Once one sees enough prophecy clichés, it becomes a bit tiresome. When a prophecy does not fall under a cliché, there is excitement and zest that comes with the story that can be felt by the reader – and more importantly – the writer. Admittedly, I’m critical about these sorts of things. I partly blame watching nearly every episode of Mystery Science Theater 3000, but also the fact that I’m an author myself really strikes a nerve. Once upon a time I wrote something without using clichés. 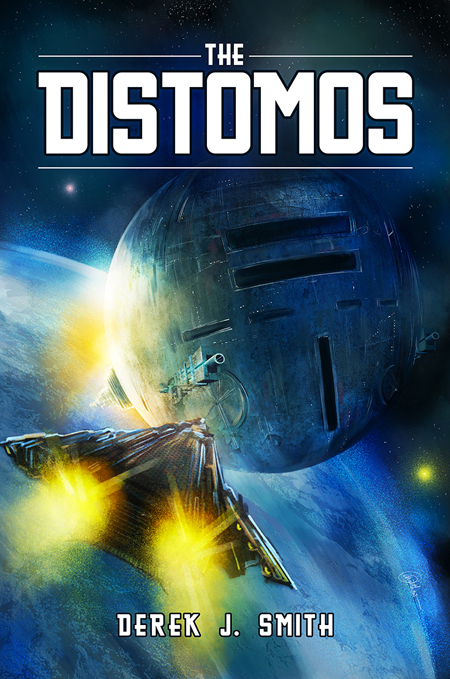 The Distomos is not one of them. While my book, The Distomos, avoids using prophecies like the plague, it is still a challenge to create a world that is unique and engaging for the reader to enjoy. On one hand, it’s part of the job as being a writer. On the other, it’s part of the challenge I want to give myself when creating something for the masses. I did not want to create another clone of what other people have read or seen before. I wanted to create something different and cool for readers. But I know even I fell into some clichés while writing my story. Sometimes they are unavoidable. But like The Fifth Element or Lord of the Rings, it’s important to have something engaging for the audiences. Not only will they enjoy the story more, but it may also help them not notice the little missteps or care to critique them (See: me regarding The Fifth Element). But am I on the right track with these ideas? Am I being too critical on The Matrix and not enough on Star Wars? What are your thoughts on clichés in fantasy? Forgiveable or dangerous? Sound off below and let me know what you think! If not, grab a cup a tea and start writing!